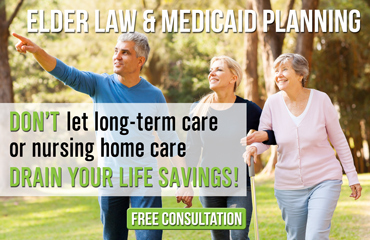 Are you trying to speak to your loved ones about long-term care? It’s trickier than you think. Trying to talk to parents, relatives, or other loved ones you deeply care about can trigger a range of emotions that are sometimes anything but positive. Sometimes, it takes a little bit of conversation here and there to break the ice and retrieve much-needed information from your loved ones. This information can help get them thinking about long-term care while providing you with the information you need to help them in the future. To ensure the best quality of life for your loved ones, it’s important that you “have the talk” with them about their options. Easing into a conversation is best to avoid any mixed feelings or trigger topics that may create complications within a relationship. It’s important that you, the conversation leader, be open about why you wish to discuss long-term care. Introduce the fact that you care about them and their future and that you want the very best for them. Sometimes, it helps to be reflective and to ask your loved ones about their past. Discuss their childhood and their memories. This method tends to lead them to positive memories, which places them in a more conducive mood for transitioning to discussing the future. Ask them what they want or need most for their future and the future of their loved ones. Then, when you feel it’s the right time, ask them if they’d consider establishing a goal for themselves and their long-term care. Additionally, it may help to introduce the subject of long-term care by sharing someone else’s story. 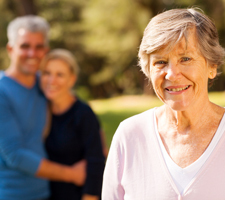 This places all of the focus off of your loved one and onto someone else while introducing the subject and getting them thinking about long-term care. You can also ask your loved one for advice about retirement, estate planning, and preparing a will. This can be a great ice breaker that moves the conversation into discussing their long-term care options.